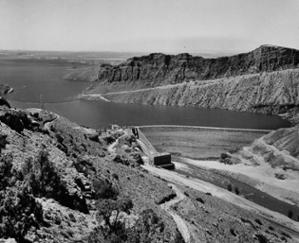 Boysen Dam was constructed during the 1940s providing irrigation and hydropower. This week's highlight in Wyoming's energy history focuses on Boysen Dam. Constructed in the 1940s in Fremont County, it developed irrigation and hydropower. In addition to recreation, the power plant at the dam produces more than 37.8 million kilowatt-hours of electricity annually. This article is provided through our partnership with the Wyoming State Historical Society.